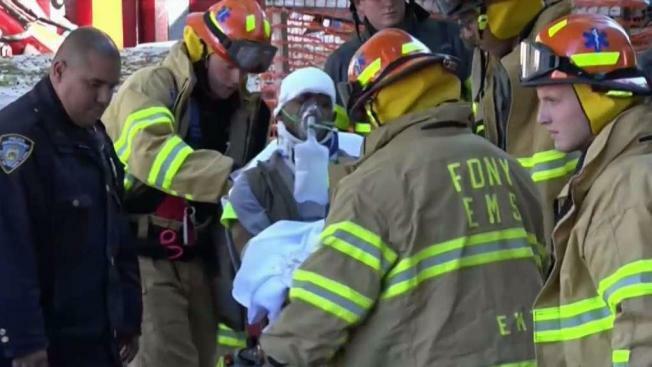 Six workers were injured when a roof caved in at a Brooklyn brownstone. Andrew Siff reports. Six construction workers were hurt when part of a building collapsed in Brooklyn Tuesday morning, fire officials said. The roof of a brownstone townhouse on Park Place in Crown Heights caved in just before 10 a.m., Chopper 4 video showed. Authorities said the roof came down as workers were placing a load of cinder blocks. Neighbor Gloria Spencer said she heard the concrete cinder blocks falling from the roof. "It was like a boom," she said. Live video from Chopper 4 showed what appeared to be the building's roof partially caved in. Some of the workers at the home appeared to be trapped after the collapse, accoridng to Norman Harrison. He said he called 911 when he realized they were in danger. "I hear some guy screaming, and I see a man trying to get out of the rubble," he recounted. Four of the six injured workers were in serious condition. FDNY Deputy Chief Stacy Scanlon say some had broken bones, cuts, bumps and bruises. 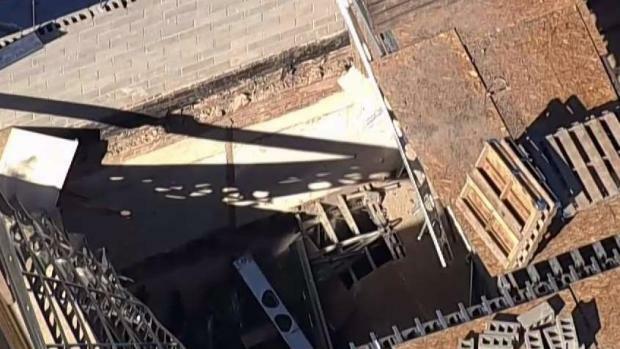 Investigators say the construction site had a C-Joist -- a metal barrier between floors -- and the weight of the falling cinder knocked down the metal, too. "It was too much weight in that area to be supported, and it collapsed into the basement," said FDNY Chief Dwayne Cartwright. A city Department of Buildings representative told News 4 the contractor will face a host of citations after Tuesday's collapse. City officials also said the apartment buildings on either side of the brownstone had to be evacuated -- leaving 10 people across four families out of their homes for the night.